I am constantly looking for essentials apps and online tools (especially ones for Blogging) all the time and this time decided to write a post on using these key tools for Bloggers. Example: I first discovered Pinterest when collecting cake decorating ideas for my daughter’s birthday cakes and inspirational quotes. 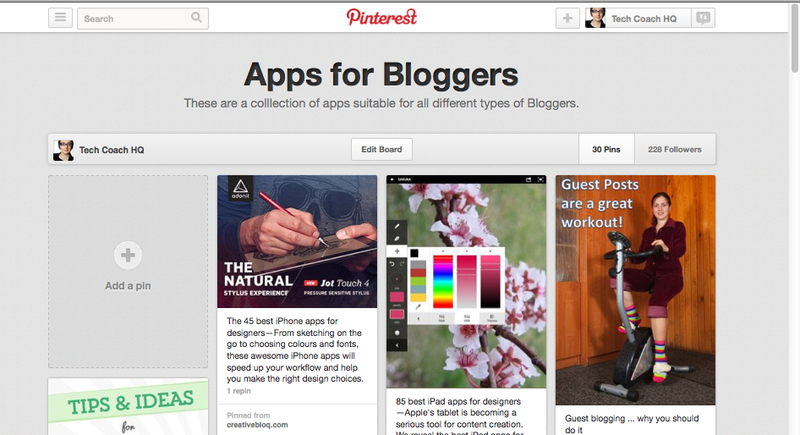 Now I use Pinterest for my own personal interest and for curating ideas on certain topics relevant to Tech Coach HQ. The most important boards (are always the top six) and I rotate them according to what I am working on. 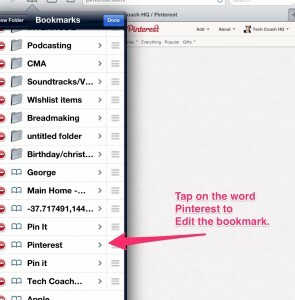 Since I have discovered how to ‘pin’ from the iPad, I have been finding ideas and sharing content much more regularly. Here is how to ‘pin’ ideas from your mobile device. Step 1: Copy this code: See image below for instructions. This code was taken from the Geek Mummy Blog. Step 2: Go to http://www.pinterest.com (not the http://m.pinterest.com as this won’t work. 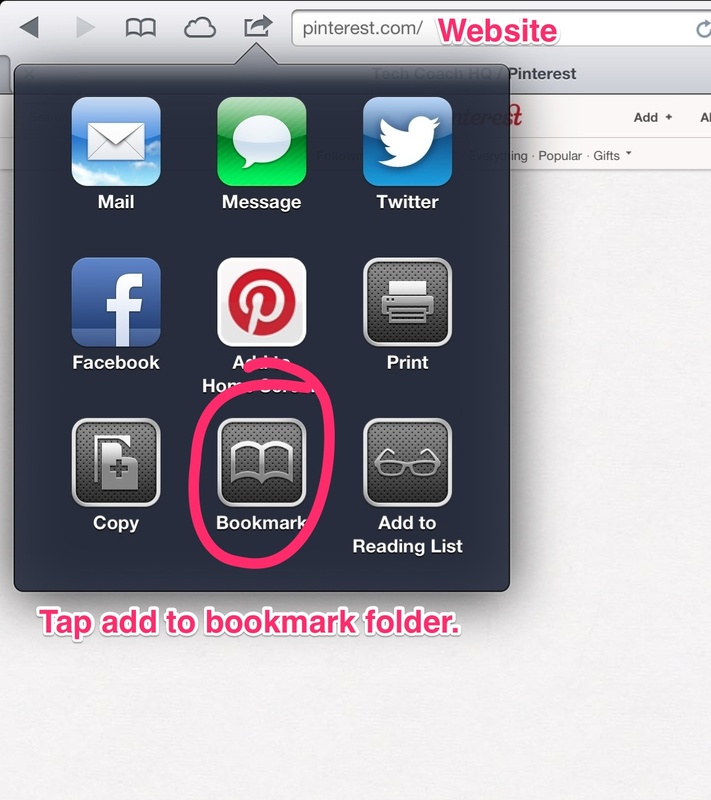 Step 3: Add this to your Bookmarks folder. 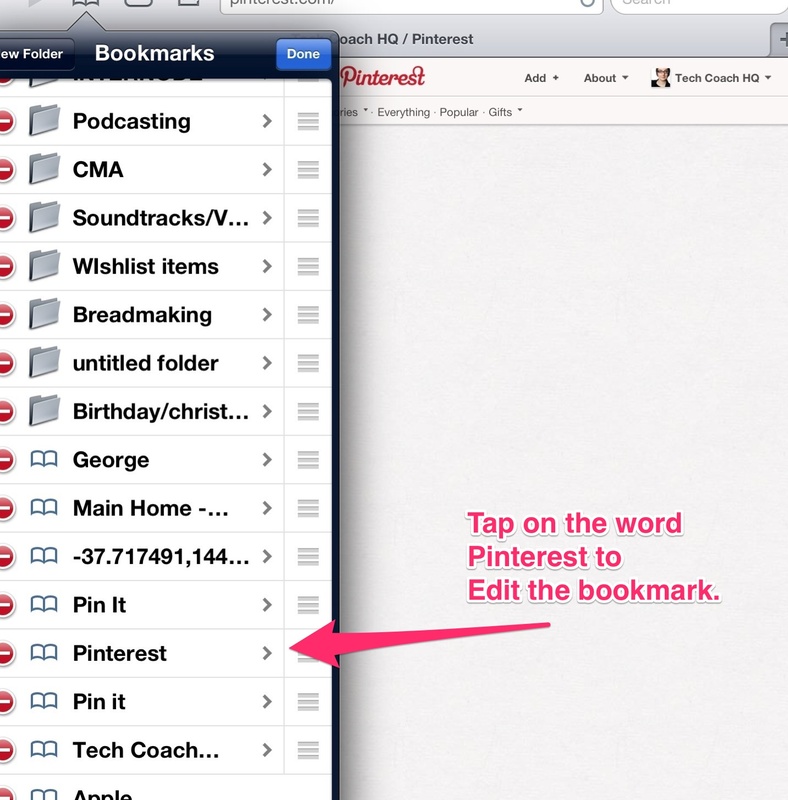 Step 4: Now find “Pinterest” in your Bookmarks folder. And press ‘Edit” up in the top right hand corner. 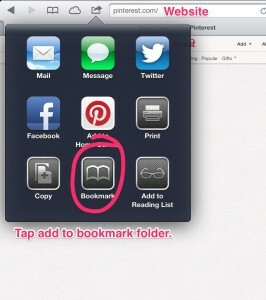 This will bring up “Edit Bookmark”. 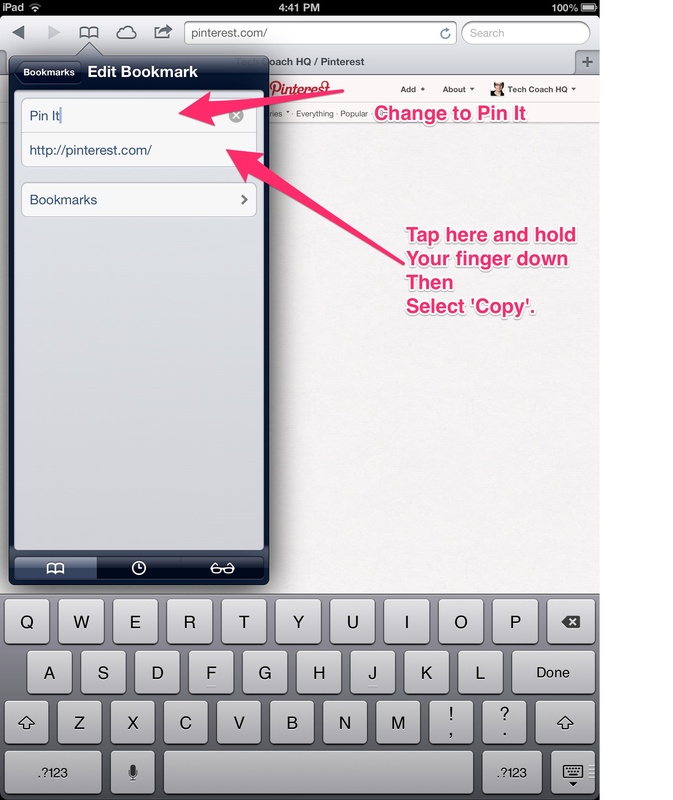 See Image below (you are going to re-name it to “Pin It” for the title. Step 5: Find a website to pin to one of your boards, remember it has to have an image or video. Example: I love using Notability to write over PDF documents and then to export back out via Dropbox, or even export to Evernote. This is a fantastic iPad app for working on your blog ideas with the ability to bring in files to work on and then send them back out again. 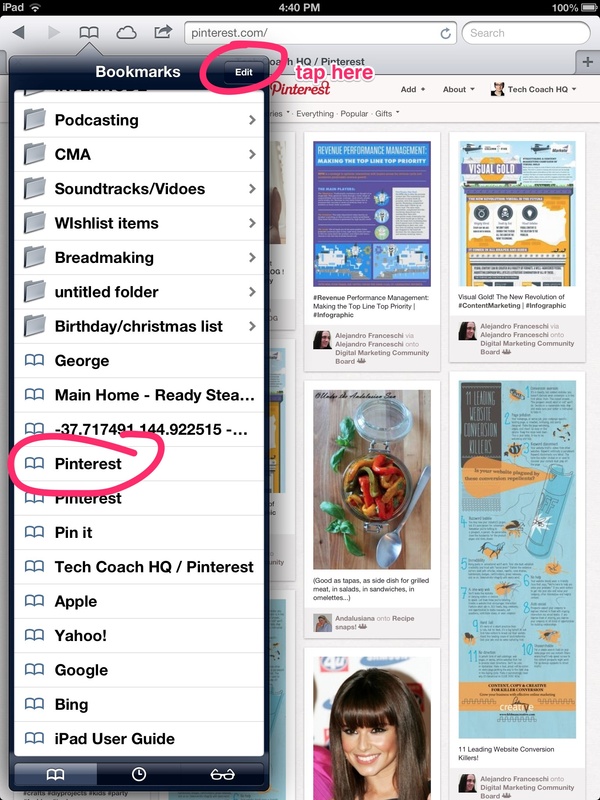 This amazing blog from “Gifts We Use” had blog planning templates in PDF format. These can be easily imported into Notability and then written over and exported out into Evernote or your Dropbox Folder for future reference. 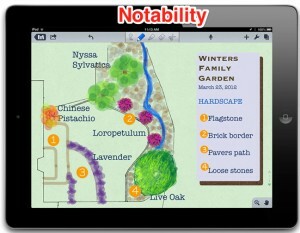 Example: I love using my stylus to quickly jot notes using Templates found within Penultimate. I found having a set planner to blog (or even just to manage my weekly schedule). 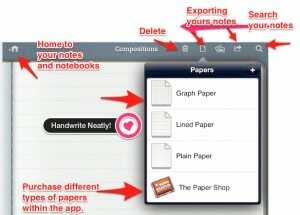 Penultimate is an app (by Evernote) that enables you to use handwriting to take notes. You can also add diagrams to your notes. These notes can be exported out to Dropbox or to your Evernote account. Use Penultimate to plan your blog posts out (via templates from the ‘Paper Shop’ within the app. 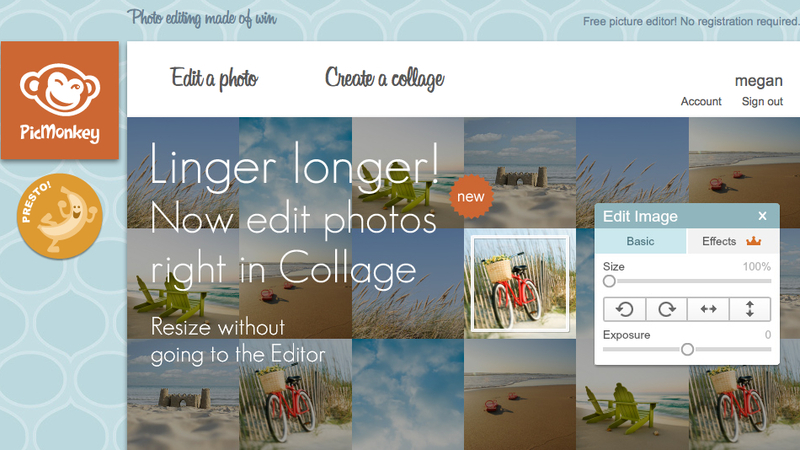 Example: I have used Pic Monkey (online photo editor) when preparing images for my blog (and for different clients). I did purchase the “Royale” version to access all the features. 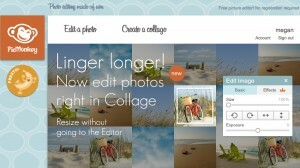 Their blog has great tutorials and suggestions for image ideas. I discovered these great tutorials from In Katrina’s Kitchen: She has a fantastic four part series which really goes step by step and well worth following. Using PicMonkey to create a watermark : Tempting Thyme wrote this amazing post and it was really easy to use and highly recommend using PicMonkey to do this.